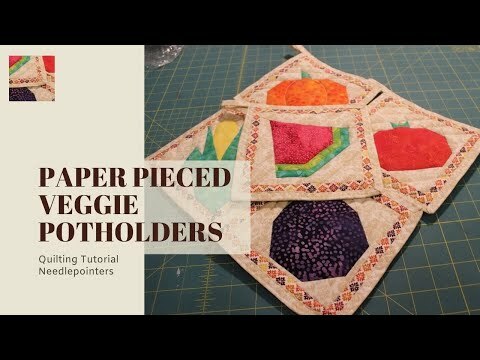 Click to watch the Paper Pieced Veggie Pot Holders video in Youtube. 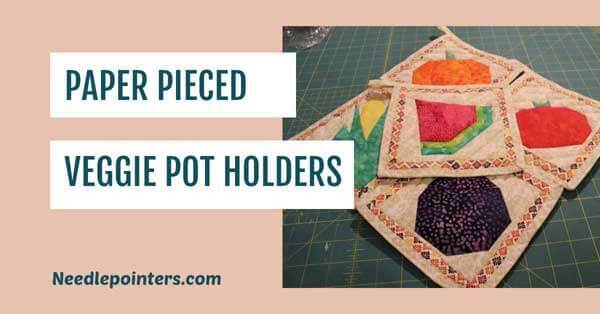 These pot holders were quick and easy to make. The paper piecing is a simple pattern so they are a good pattern to try for your first paper piecing project. Look below for a link to supplies and the pattern for this project. The pattern is free from Quiltmaker.com but you will need to give them an e-mail address. Once you enter the e-mail address, it will be an instant download. 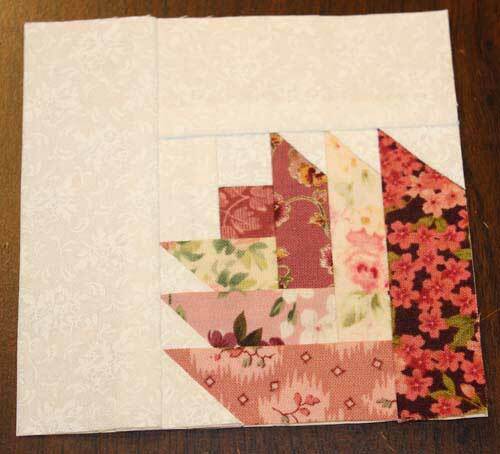 Don't be afraid to try this project even if you have never tried paper piecing. We have a video which will get you started. Click the image below to learn how to paper piece. 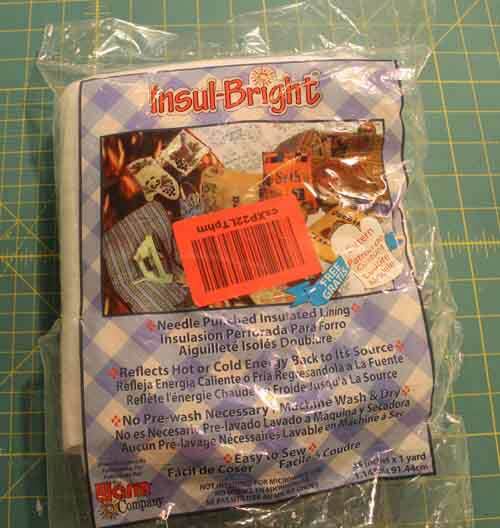 I found that one layer of the Insul-bright heat reflective batting didn't make the potholders usable for oven and stove use. So, I used two layers of this Insul-bright batting sandwiched around a layer of Pellon batting. The 3 layers of batting helps make the potholders more heat resistant. The pattern instructions say to bind the pot holders by sewing the binding onto the front and then wrapping and hand sewing the back down. I personally hate to hand sew so I used a fun and easy method to add the bindings to my pot holders. Watch the video below to learn how! 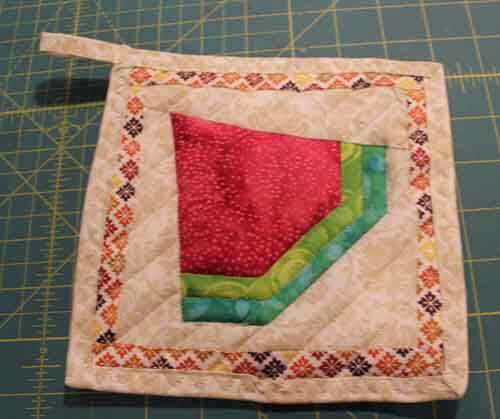 Click the image below to learn how to bind a potholder. I hope you make some potholders for yourself! The links below will take you to the site to get the pattern by entering your e-mail address. There are also affiliate links for some products we mentioned.